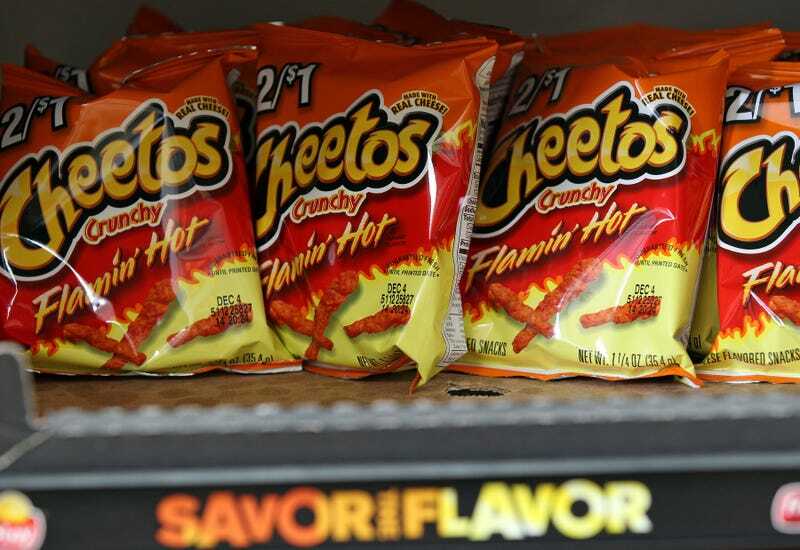 Flamin’ Hot Cheetos emerged from the snack aisle to walk the runway at this year’s New York Fashion Week, and now their chili-powdered origin story is getting the big-screen treatment. According to Variety, Fox Searchlight is prepping a biopic about Richard Montañez, the inventor of the spicy treats. DeVon Franklin, who’s behind faith-based flicks like Miracles From Heaven and Heaven Is Real, is producing the film along with Samuel Rodriguez. Flamin’ Hot (which is hopefully a working title) will track Montañez’s rags-to-riches: Born in Mexico, Montañez went on to work on farms in California before landing a custodian job at Frito-Lay. He took the president of the company’s message to “act like an owner” to heart, and dreamed up one of Frito-Lay’s most popular products. Inspired by the elotes sold and consumed by Mexicans, Montañez put some chili powder on Cheetos, to the delight of his family and friends. Thinking he might have something on his hands, the former janitor pitched his new product directly to Frito-Lay’s president. One presentation and a few promotions later, Montañez became the executive vice president of multicultural sales and community activation. October Sky scribe Lewis Colick is writing the biopic; there’s currently no word on casting or a production start date.